You’ve heard of TED talks. 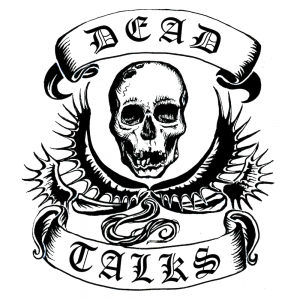 These are DEAD talks. Wildly popular theories that were just plain wrong. Phrenology. Alchemy. The Planet Vulcan! Ideas that have failed the ultimate test: time. Discover why plague doctor suits worked, how to store a substance that dissolves everything and whether electricity could be the essence of life. The luminiferous ether was the stuff that allowed light to move through the universe. Unfortunately it died in an 1887 experiment, and we’ve been confused about what to replace it with ever since. DNA, it’s one of the greatest scientific discoveries, everyone’s got it and it’s been freeing innocent people since 1986. So, what’s not to love? Crime Scientist Cerys Bradley explains how DNA testing technology has improved so much it can now convict you of a crime you didn’t commit. Steve trusts scientific and political authority implicitly and will therefore be echoing The Earl Nelson’s proof that there is definitely life on Mars. Disbelief shall be quashed! Trade deals with Martians will be the easiest negotiations ever! The notion of an imminent Day Of Judgement is a cranky delusion believed by the ignorant, the psychotic, a few marginal cults, several defunct religions, and the current leaders of the major nations of the World. It has not been disproved yet, but if it is not dead, then the rest of us soon will be. Jean Baptistse Lamarck developed a theory of evolution long before Darwin. He thought the giraffes’ neck grew longer as it stretched up into the trees for food. Darwin proved him wrong. But did Lamarck have the right idea? New research in epigenetics shows that it’s not just changes in DNA that affect how features develop and are inherited. Conducting your tour of scientific cul-de-sacs, compère Rachel Wheeley completes this cavalcade of cadaverous carnage. Join us as we celebrate the lives (and half-lives) of scientific ideas.